Nearly $300,000 has been donated to a pro-life lobbying organizations in Vice President Mike Pence’s name in response to pro-choice actress Mila Kunis’ donations to Planned Parenthood. After it was reported in early November that Kunis had set up monthly donations to the nation’s largest abortion provider in Pence’s name, Planned Parenthood bragged on Twitter about the fact that the conservative pro-life vice president was receiving a donation thank you card in the mail every month. 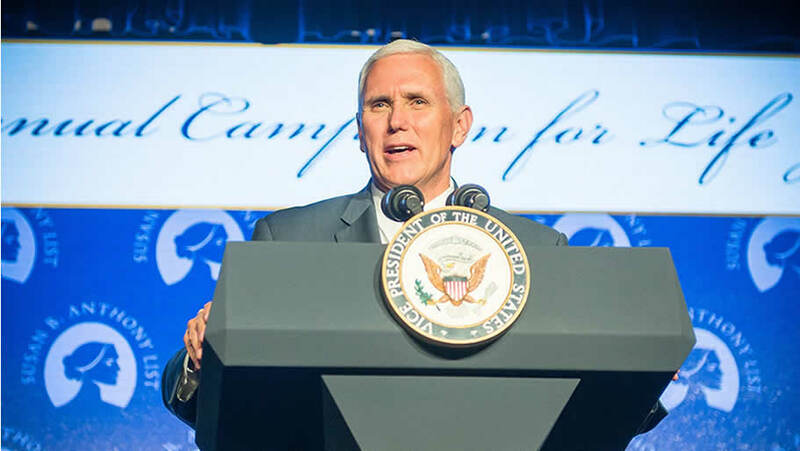 The head of the Washington-based pro-life network Susan B. Anthony List, Marjorie Dannenfelser, responded by taking to Twitter to call on pro-lifers to make contributions to her organization’s pro-life advocacy efforts in Pence’s name. Pence responded to the Dannenfelser tweet by tweeting that he was “honored” and declared, “I’m in.” Pence also thanked the SBA List for all of its advocacy efforts.